Last year was a good year for uplifting war movies. Is it an oxymoron to talk about uplifting war movies? Sometimes it is hard to understand the thinking of Hollywood’s suits, even as the creative talent preens in a bubble of self-righteous victimhood. The past year featured two big budget movies about WWII, Dunkirk and The Darkest Hour. Both movies were different than the fare we have become accustomed to over the past few years. I really enjoyed both movies, thought they were well made and reasonably accurate, missing Hollywood’s usual heavy-handed political correctness. But I admit to being puzzled. The movies both focused exclusively on the early British experience of the war, before the entry of America. Puzzling as well was an absence of the obligatory Jewish persecution story line. Weren’t Steven Spielberg or Meryl Streep consulted? The seemingly ironclad requirements for diversity and self-esteem goals in casting and scripting were ignored. There was no obvious villainy pointed at our own time and place. This is Hollywood in the Era of Trump, what gives? I don’t have an answer for you, or even an argument to make. I really have no idea what caused Hollywood to make two really fine movies about WWII, two fine movies that celebrate the people and values of the West. But the movies give me an opening to flog my own hobby horses. Based on a few idle conversations with an unrepresentative sample of people I believe to be American citizens, I think the events of Dunkirk and The Darkest Hour have faded into sleepy obscurity, at least in America. That time and place is a distant past, no longer worth remembering. Like hearing footsteps in the attic on a dark wind swept night, I realized that my newly born grandson is as far removed from Dunkirk as I am from Gettysburg. I hear the cold winds of approaching winter rattling the windows of my old and battered frame. But like the Civil War, adults, at least “mature” adults, in the United States believe we know all about WWII. Like most things in our lives, we think we know more than we actually do, confident in our understanding of the hazy obvious. But for most of us, once we get beyond Pearl Harbor, Omaha Beach, Hiroshima and the Holocaust we are in pretty deep water. The talking heads have told us ad infinitum that history repeats itself. Where better to look for lessons to teach than WWII? Most of their audience recognizes the name, believing they know the story. It has the added advantage of black and white, with no annoying shades of grey. WWII was the really good guys against the really bad guys. Perhaps the greatest contribution of WWII to our present culture is in the person of Adolph Hitler. Herr Hitler is the personification of evil. Having cast off God, we found ourselves needing a stand in for Satan. 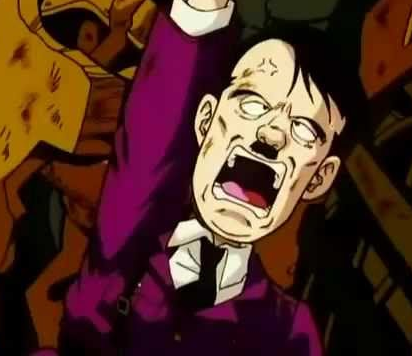 In a world where all evildoers with the exception of sexual predators are simply the product of their environment, Adolph Hitler fills the public’s need for a figure of unrepentant evil. With the rise of Donald Trump and the Deplorables, the chattering class has reached out for Adolph Hitler and the Nazis to use as examples to frighten both the faithful and the fellow travelers. It is true that history repeats itself, or at least rhymes. (A tip of the hat to Mark Twain for that bit of insight.) Of course that depends on the history being studied. 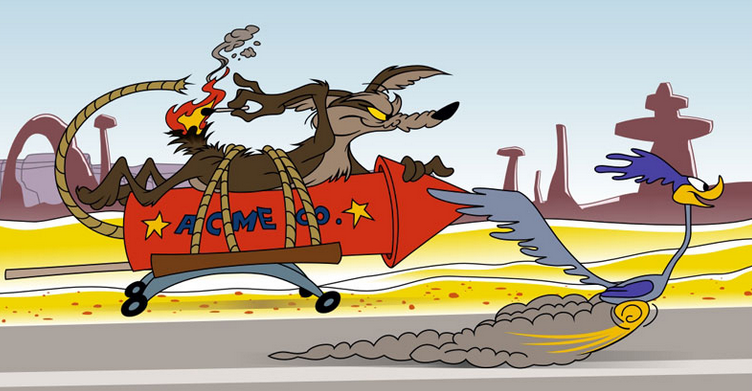 A cartoon version of history leads to cartoon lessons, somewhat along the lines of Wile E. Coyote’s experiences with the Roadrunner. Or if you prefer Mark Twain’s insight, There once was a girl from Nantucket . . . . It is a mark of the intellectual poverty of our culture that the historical memory of today’s American citizen is shaped almost exclusively by the entertainment industry. America’s schools had modest success at shaping her citizen’s background in earlier times, but modern demands for building self-esteem and inclusive representation made the history presented in school a dish of unsalted oatmeal, unappetizing and forgettable. Whether visualizing Tom Hanks or John Wayne, the average American citizen’s understanding of WWII in Europe is the GI on Omaha Beach or paratroopers in the hedgerows of France. The more knowledgeable mature citizen might remember Henry Fonda or George C. Scott at the Bulge, while Gen X memories probably coalesce around a band of brothers. No disrespect intended to the hardship and sacrifice suffered by US ground troops, but it might be wise for us to consider the war with Nazi Germany in a wider perspective. After all, we are voting members of the most powerful country in the world. 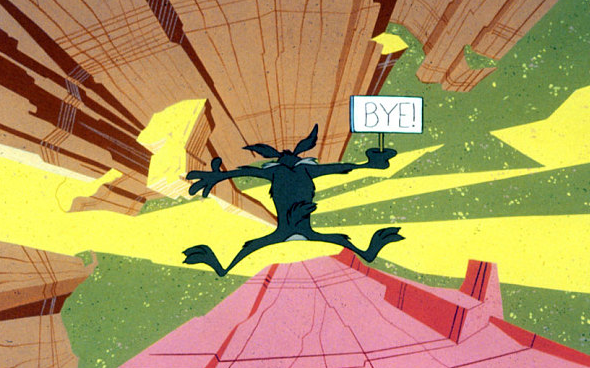 Given the awesome power of America, we owe it to the rest of the world to use that power wisely rather than in imitation of Wile E. Coyote. We are asleep at the wheel if we do not realize that our leaders make regular use of ersatz memories of WWII to lead us into the briar patch. Sergeant Schultz of Hogan’s Heroes fame spoke the honest truth about German’s memories of WWII. The Eastern Front was a death sentence for German soldiers. Serving in the Wehrmacht anywhere else, though horrible, was much preferred. Even being a prisoner of the Americans was a better deal than being on R&R on the Eastern Front. The terrible fighting in and around Bastogne during the Battle of the Bulge fades when measured against the conflagrations at Kursk, or Stalingrad, or Leningrad, or a host of other Armageddon-sized slaughters on the plains of Russia. A sober dispassionate historian might argue that victory over Germany in WWII was built upon America’s industrial production far from the battle lines. 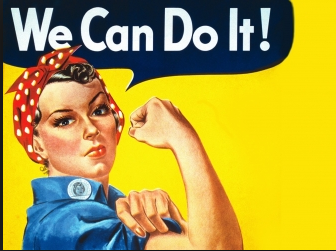 He might say that Rosie the Riveter was the most important American soldier by far. That historian would add that only the endless masses of Stalin’s bloodied armies stopped Hitler’s Wehrmacht; armies kept going by American industrial production. Those American supplies made their difficult way to Russia by convoys of cargo ships steaming through U-Boat infested waters of the North Atlantic. Ignored by the entertainment industry since the days of Humphrey Bogart, merchant marine sailors on those cargo ships braving U-Boat torpedoes in the frigid waters of the North Atlantic suffered the highest casualty rates of any Allied force. The Wehrmacht facing Stalin’s armies finally ran out of tanks, gasoline and men because of bomber crews in B-17’s and Lancaster’s flying in airplanes with open windows for sixteen hours in -30 DEGF. In the early years of the war, half of those aircrews never came back. Those bombers flew through clouds of Luftwaffe fighters, Me-109’s and FW-190’s flown by experienced pilots. They seemingly walked on clouds of anti-aircraft fire to rain bombs on the factories and cities of the Third Reich. There is much to learn from history, particularly if we ask the right questions. Going back to the movies, Dunkirk and The Darkest Hour, I think the right question is – “How the hell did this happen?”. In both movies, we see Great Britain, master of an Empire stretching around the entire globe defended by the matchless Royal Navy, at the point of utter defeat after less than two months of combat. France, possessing both the largest economy and the largest army in Europe, suffers the humiliating spectacle of a conquering army goose-stepping on parade through the streets of Paris in that same two months. Indeed, “How the hell did this happen”? The short answer is Heinz Guderian. Perhaps not all the credit should go to General Guderian. Borrowing from hockey’s playbook, we might instead say that Guderian scored the goal with assists by Erwin Rommel and Erich von Manstein – good Germans all. It is May 26, 1940. The British army, some 400,000 in number, is stranded on the beach at Dunkirk, France. The German Army surrounds them on land, while the Luftwaffe rules the sky over the beach. Stuka dive-bombers, the terror weapon of its day wreaks havoc among the crowded soldiers, unable to do more than fire in the air helplessly at the wailing killers diving at 350 mph. The Royal Navy is hamstrung, stymied by Luftwaffe air superiority over the beaches, caught flat on its feet. The war had begun nearly nine months earlier, on September 1, 1940. On that date the German Army invaded Poland from the west, joined on September 17 by the Soviet Army invading from the east. Britain and France declared war on September 3, but were helpless bystanders. By October 6, Poland had ceased to exist and the term “Blitzkreig” was a new word in newspaper headlines. Over the winter of 1939/1940, nothing happened, other than a British army being transported into France for the hostilities expected to begin the following year. On April 9, 1940 German troops invaded Norway and Denmark, quickly occupying them. Norway and Denmark neighbored Sweden, officially neutral but in fact more than sympathetic to the Nazi cause. Germany now controlled the Baltic/North Seas. Then on 10 May 1940, Germany invaded the Netherlands and Belgium, quickly neutralizing defensive strongpoints with innovative paratrooper/glider borne tactics. German army formations drove toward northern France in a replay of their strategy in WWI. The allied forces followed the old script and reacted accordingly. British and French armies moved into northern France to stop the German advance, just as they had in WWI some twenty-five years earlier. But something happened on the way to the trenches of the Somme. The German invasion of the Netherlands and Belgium was a trick, a feint, the move of a master poker player. The German plan of attack, devised by Erich von Manstein, showed him a brilliant strategist. As the allied forces rushed into Northern France, the main German invasion force picked its way through the Ardennes Forest of Central Germany, suddenly appearing on the heights above the Meuse River near Sedan, France. Sedan is a town on the Meuse River, below high cliffs fronting the eastern bank of that river. There is a switchback road, some two miles long allowing traffic to come down off the cliff onto the plain, which is the French countryside. The morning of May 13 saw that road filled with German tanks coming down upon the sleeping town and its key bridges. Heavy fighting over the next three days left the German force, Army Group A – 19th Panzerkorps, across the river and in control of bridges across the Meuse River. The door was open to the French plain, stretching to the sea. In control of the bridges, Adolph Hitler and the German High Command ordered caution, a stop in the German advance to allow needed resupply and repair. But Guderian, the man on the scene, put his career not to mention his life at risk, ordering his precious armored columns forward. After all, Heinz Guderian commanded 19th Panzerkorps because of his visionary book on mechanized warfare written three years before, Achtung Panzer. In the book he had described exactly this situation. There was no way he was going to stop now. Guderian’s 19th Panzerkorps led a race across the plains of Central France. Newsreels of the time showed German tanks racing down roads in France, dust clouds behind them. One division in particular, the 7th Panzer, moved so quickly that it earned the nickname, Ghost Division. The Ghost Division’s commander was Erwin Rommel, future Desert Fox and commander of the Normandy Beach defenses. With Guderian’s breakthrough, there was no line of defense, panic ruled. The Allied defenses fell into chaos with the result that the British army was trapped on the beaches of Dunkirk less than two weeks later. And some three weeks after that, Adolph Hitler would take the salutes of his army as they marched in parade under the Arc de Triomphe on the Champs-Elysees in Paris. It was our own President, JFK, who popularized that bit of wisdom in 1961 at his press conference confessing to the Bay of Pigs fiasco. As with all wisdom, he simply put new words to timeless truths. My favorite old wordsmith, Publius Cornelius Tacitus, put an earlier version of the adage into words in 98 AD, but the thought was probably already old when the pyramids were new. But it was certainly true in 1940. In Germany, Adolph Hitler and the German High Command assumed the status of Olympian gods. In the summer of 1940 the German leadership, Hitler and his generals, were superhuman. Everything they touched turned to gold. Guderian, Rommel and von Manstein were given honors and promotion. They were celebrities and would figure prominently in the future. Forgotten was Guderian’s disobedience, his breathtaking roll of the dice risking everything the German’s had. The English and French armies had more and better trained soldiers, more and heavier tanks – now lost. 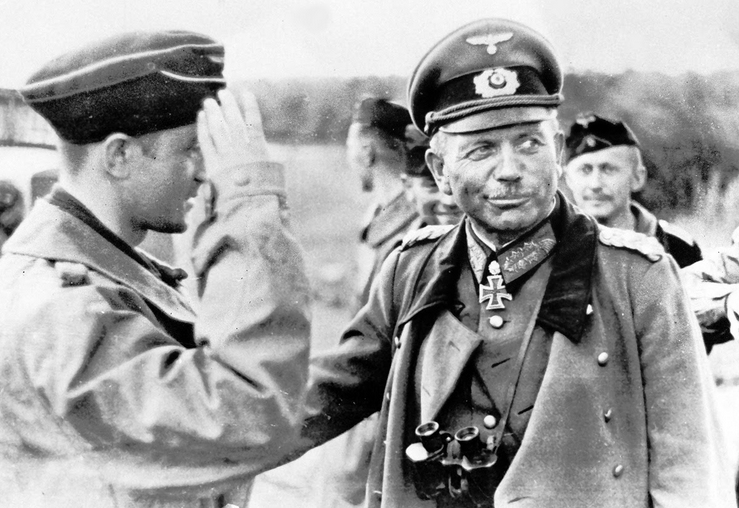 Guderian had virtually all of Germany’s heavy armored forces under his command. If the Allied high command had been luckier, or simply better at their job, Guderian and his tanks would have been destroyed with Germany defeated and invaded in turn. Hitler deposed. But instead defeat was an orphan. Of course in France it little mattered. France ceased to exist for the next five years. 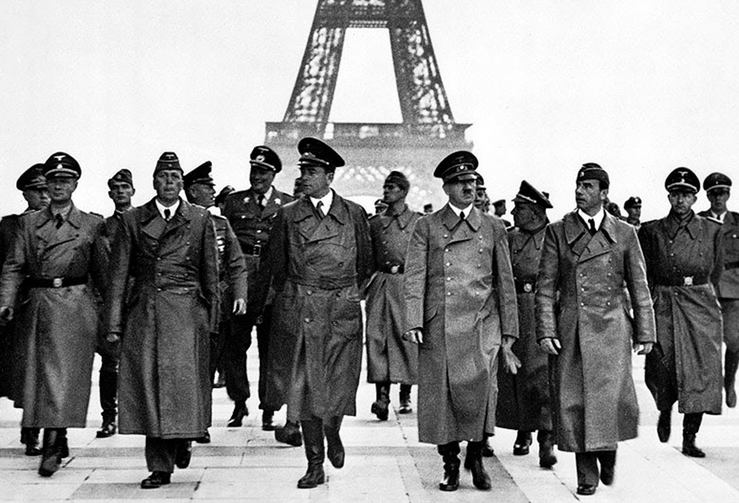 When Allied victory restored France to life in 1945, the question of who had collaborated with the Germans during the occupation was what mattered in French public life. But defeat was a dangerous topic in England in 1940 because England still existed, unlike France. But Neville Chamberlain, an honorable man and so a safe choice for the job of scapegoat, could accept responsibility in the eyes of the world and voters. England had adroitly changed horses just as France was falling. 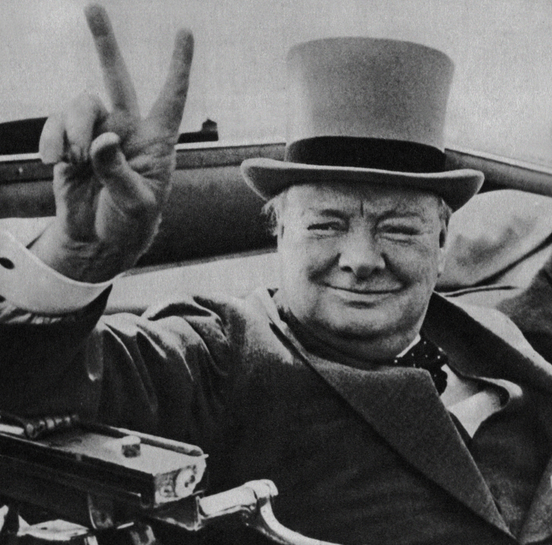 Winston Churchill was now Prime Minister, even though a member of the same political party as Chamberlain. Long-suffering baseball fans know the drill. Firing the old manager and hiring a new manager brings hope, even though the players remain the same. So again we raise the question, “What the hell happened”? Heinz Guderian was the short answer, but is there a longer perhaps better answer? It was not only Heinz Guderian humiliating his British and French counterparts. Adolph Hitler had been doing the same for years to Britain and France’s leaders, Neville Chamberlain and Edouard Daladier. It was a strange spectacle, the skinny weakling with a runny nose facing down the schoolyard’s two heavyweights time after time. In March 1936, German troops marched into the Rhineland. Two years later in March, 1938, German troops marched into Austria, annexing the whole country. In October, 1938, German troops marched into the Sudetenland, the German speaking part of Czechoslovakia. Over the next few months, German and her Hungarian allies swallowed what remained of Czechoslovakia. Each time the German’s risked war, Britain and France threatened but did nothing. As noted before, defeat was and remained an unwanted unnoticed orphan in France. But history books require villains, particularly if being used to teach lessons. And so we have Neville Chamberlain, who has come down to us as the face of Allied fecklessness. 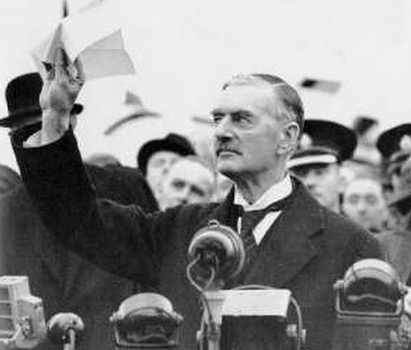 It was Neville Chamberlain who negotiated with Hitler, giving up the Sudetenland and returning to Britain while proclaiming “peace in our time”. Contrary to the caricature given us by our curators, Neville Chamberlain was not a softhearted liberal, a “girlie man” as the un-PC Arnold Schwarzenegger sometimes says. Chamberlain was a tough hardheaded union negotiator, successful in business and politics. Why did he play a strong hand so poorly? How was Adolph Hitler able to play a weak hand so well? Perhaps we have misread the cards. At the risk of seeing a picture not there, we might take another look. Our memories of that time, certainly the memories given life in novel or screen, are curated memories. As the horizons of our culture have expanded, we have turned to the superior sensibilities of the curator to insure we get the concierge experience we have been educated to seek out. I believe that it was Starbucks that first taught us to seek out the “curated” experience. They use the word like salt on scrambled eggs. In the Age of the Internet, as we know more while understanding less, a curator keeps us on the reservation. After all unless someone with taste and discernment selects the choices available, some ignorant rube might put mustard on a salad or drink a chardonnay with jamon poivre. At museums, the exhibits are carefully curated so that educated patrons will draw the correct lessons from the science or history displayed there. 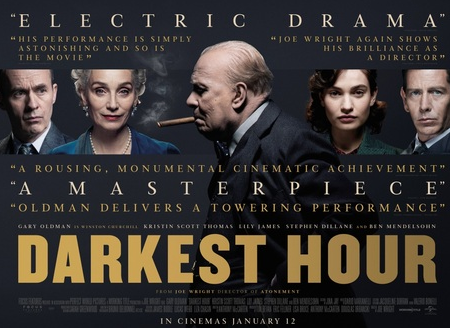 Given the tangled nature and the decisive outcomes that arose out of WWII, there is an understandable need for a curator, someone to use shadow and spotlight in fitting together the victors preferred memories of how it all came to be, the actors and their parts. In his role as Satan’s replacement, the curator gives us Hitler as simply evil, a black demon with no Dante to soften his edges. 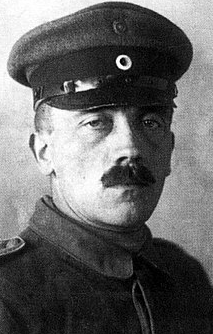 Hitler is of most use as a present day bogeyman, to be used by progressives demonizing Deplorables daring to speak modern heresies. This demonizing may be understandable given the intellectual history of the Progressive Movement, but seeking to understand Hitler’s time and place outside of our own prejudices might help us to recognize and prevent such evil in our own time and place. As the New York Times tirelessly points out, America is not immune to the virus that grew into Nazi Germany. They are right. But since the New York Times equates Donald Trump and the Deplorables to Adolph Hitler and his Brown Shirts (the SA) the newspaper plays the role of the boy who cried wolf. Donald Trump is a far cry indeed from Adolph Hitler and the Deplorables are not the SA. But the wolves are out there in the darkness. 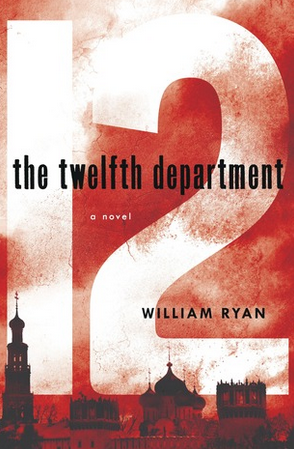 When a Hitler, something truly evil, surfaces in America, when the wolves finally appear, who can sound the alarm and be believed? Without the backdrop of WWI, WWII is simply an action movie of the good guys against a nameless evil, perhaps an earlier version of Independence Day – something to be released as a summer blockbuster, a sure bet for syndication. WWI ended in Nov. 1918 with the surrender of Germany and the Treaty of Versailles. Germany surrendered, but a lot of people in Germany didn’t believe they had lost the war. Many Germans believed Germany was betrayed by its leadership, a leadership conspiring with international “financial interests”. To the average person in Germany, “financial interest” was a synonym for Jewish bankers in Berlin, London, Paris and New York. Hitler, along with the great majority of his fellow front line soldiers from the war, agreed. The peace treaty signed at Versailles was designed to both humiliate and drain Germany, a Germany that felt betrayed by its own leadership. As WWI receded into memory, Germans grew tired of this humiliating servitude. Hitler understood. He had served in the trenches and suffered in the peace following. To these angry men, Hitler and his National Socialist Party offered a new vision of Germany, a Germany that would no longer be a beggar in debt to these “financial interests”. It is useful to compare and contrast the popular entertainment of the 1930’s, the newsreels and movies. In England and France, newsreels showed breadlines, Okies in America fleeing the Dust Bowl and images of the Depression. Mindless entertainment was the order of the day with powerful anti-war movies like All Quiet on the Western Front and the Grand Illusion shaping serious public opinion. In Germany, it was a different story. Newsreels showed a Germany regaining her pride with visions of torch lit Nuremburg Rallies and parades of paramilitary organizations. This was the time of Leni Riefenstahl, an actress and German filmmaker of rare talent. Gripped by Fuehrer worship, she made popular movies like The Victory of Faith and Triumph of the Will, glorifying the renaissance of the German Spirit under the Nazi flag. Cultured Germans flocked to performances of Wagner’s Ring Cycle, an opera marathon akin to Tolkein’s Lord of the Rings, but instead of a hopeful victory, it offers a glorious death in battle for a doomed cause. Since the end of WWI, Communist street protests had become a common thing in the big cities of Germany, particularly Berlin. There is something about the collectivist mindset that appeals to the under educated and the over educated, to the zealot and to the artist. Factory workers and university students crowded downtown streets marching under large red flags featuring the hammer and sickle of the Soviet Union. These marches often ended in fighting and rioting as they clashed with police. The rioting students and factory workers claimed to be for peace, for equality and brotherhood. It may be that the marchers even meant it, but most Germans, particularly those living outside of Berlin, weren’t fooled. A million Russians had fled the equality and brotherhood of the USSR after the Russian Revolution of 1917 with many of them ending up in Germany. With the Revolution had come the forced collectivization of farms in Russia and now famine stalked Russia, sending new waves of refugees streaming into Germany. Perhaps the Germans in flyover country could not understand the finer points of dialectical materialism, but they knew a wolf when they saw one. 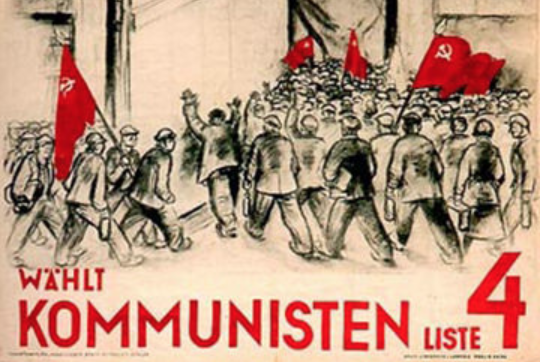 They might not like Hitler much, but Hitler and his Nazi party offered these people an end to the communists in Germany, whether Stalin’s minions, Trotsky’s acolytes or simply clueless fellow travelers breaking windows in the streets. The Germans in flyover country were frightened of the communists, but they were also appalled at the decadence of the cities, again especially Berlin. Remember that Germany was a very religious country, Lutheran in the north and Catholic in the south. Sophisticated urban dwellers might scoff at church morality, but it was a very real thing outside of the urban centers. This laughing repudiation of cultural Christian morality in Germany’s cities added a very real backdrop of fear to a great many Germans. Hitler offered these people an end to decadence in the cities. WWI had worked its changes on England as well. England had won the war, but it seemed no great prize to England’s citizens. Times were hard. There was a Depression going on. England had another heavy burden as well. Their American cousins had financed WWI, providing money, food and munitions. But now they expected to be paid back, squeezing England in a terrible financial vise. But it was the terrible losses of men that cast a black cloud over England’s thoughts as they watched a phoenix rising out of the ashes of the Weimar Republic. Out of a population of 45 million, 800,000 Englishmen were buried in the fields of France with twice that many wounded. 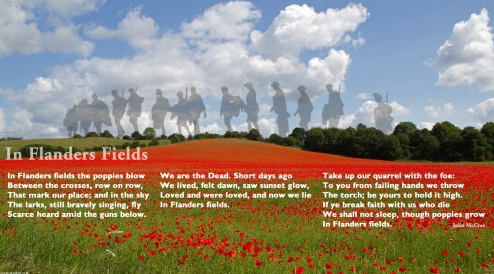 To appreciate the English losses in WWI, think of a war that cost 5.5 million American dead. The bloodiest war in American history was the Civil War with 660,000 dead. This devastating loss had its effects. In February of 1933, a month after Adolph Hitler took office as the democratically elected German Chancellor, the Oxford Student Union in England held a very public debate. An American might think of Oxford in terms of Harvard or Yale. It is where England’s elite is educated, groomed for leadership. In that very public venue, England’s future leadership debated whether they would fight for their country. In February of that year by a nearly 2 to 1 majority, England’s future leaders declared they would not fight for their country under any circumstances. Only a month after England’s future leaders declared they would not fight for their country under any circumstances, the Reichstag in Berlin, Germany’s Parliament Building, burned down in a clear case of arson. The communists were blamed by the Nazi’s for setting the fire. A public trial of accused communist agents followed, inflaming German passions further. While who set the fire is still a matter of debate, informed more by present day political passions than facts, the drama of the fire and trial was skillfully used by Adolph Hitler and the Nazi’s to strengthen their grip on Germany’s government. Hitler used the Reichstag Fire as an excuse to suspend civil liberties in Germany, a move widely applauded by most Germans. Those liberties would not be coming back for a long long time, but for now . . .
And so, “What the hell happened?” The losers of a terrible war felt betrayed by their leaders. The winners of that war felt like losers and vowed – nevermore. A humiliated and angry people wanted to regain their pride. An educated and cosmopolitan urban elite flaunted their freedom from a morality they no longer embraced. A charismatic politician navigated these angry, demoralized and confused times to attain totalitarian power. Hitler was a politician, not a general. His generals were appalled when he sent troops into the Rhineland, when he annexed Austria, when he marched into Czechoslovakia. The German generals knew the English and French could beat them with relative ease. But Hitler knew something that his generals didn’t; knowledge shared by his opponent Neville Chamberlain. The English people were not going to fight another war. And if England would not fight, then France would not fight either. And so Hitler pushed. Chamberlain retreated, playing a weak hand for time – hoping to sate a gambling madman long enough for his people to regain their will to resist evil. But Hitler kept pushing until finally a nation’s pride could no longer live with such humiliation. And then Chamberlain gave way, in an honorable way, to a resigned but also reinvigorated British Commonwealth led by The Bulldog. We could not bomb nations ships that traded with NO Vietnam. Hi Bill, I enjoyed your article. There are lots of reasons behind your main question. The population of Alsager, the town I live in in Britain had a population of 2743 in 1911 and 2693 in 1921. Most of the difference in population were killed in the Great War. Their names, like the many in other towns in Britain, are inscribed on war memorials in each town. France suffered far worse than Britain. This affected post war military policy, especially in France where a defensive strategy employing the Maginot line was adopted. A certain French colonel called Charles De Gaulle did not agree with this strategy and wrote a book on Tank warfare. The French dismissed it but Hitler adopted the principles in the book. When the war started a only a small British army was sent to France as Britain has never really had a large army as it was a major sea power. The French army determined the strategy and tactics for the fighting on their lands.During the Phoney War the French attacked the Germans around Saarland and were making good progress but their Generals decided to withdraw. I do not know why they withdrew.When the attack from the Germans came they outflanked the French and British armies and the British were fortunate to be able to evacuate their army from Dunkirk. Churchill wanted to carry on the fight and the French Prime Minister Reynaud also wanted to continue the fight but military figures like Petain wanted to retain the French army and wanted to negotiate a surrender. Churchill offered the French joint citizenship to enable the fight to proceed. De Gaulle wanted the French army to retreat to Brittany in north west France and form a defensive line which could be reinforced by the British. Petain said no and Reynaud resigned. The Vichy Republic of France was in its formative stages. 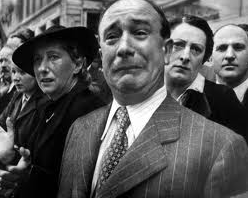 When the surrender came France gave up a great deal but retained the French navy under Vichy control. The British did not trust the Vichy government and gave them an ultimatum with several options which were designed to keep it out of German control. The French did not accept the options and so the British blew the French navy out of the water in Algeria and took charge of those in British ports. When US troops invaded North Africa the first shots fired on them were from Vichy troops.The Free French under De Gaulle carried on the fight from Britain with British help. Enjoyed both films. Good news for Gary Oldman today.